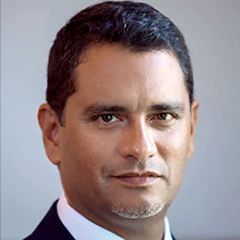 Dr. Jason E. Lane is the founding executive director of the SUNY Academic & Innovative Leadership (SAIL) Institute and Chair of the Department of Educational Policy and Leadership at the State University of New York at Albany. He has extensive experience leading multi­campus transformational change initiatives in higher education and is a recognized expert in system thinking and development. An award­winning author and speaker, Dr. Lane’s scholarly expertise focuses on the leadership and governance of higher education, particularly as it relates to the emerging relationship between higher education, policy and politics, and globalization. He has authored numerous journal articles, book chapters, and policy reports; and published 12 books, including “Academic Leadership and Governance of Higher Education”, “Multi­National Colleges and Universities: Leadership and Administration of International Branch Campuses”, and “Building a Smarter University”. Previously, he served as Deputy Director for Research at the Nelson A. Rockefeller Institute of Government and Vice Provost for Academic Planning and Strategic Leadership and Senior Associate Vice Chancellor for the State University of New York, where he was responsible for the development and implementation of academic, economic, global and leadership initiatives across the system. 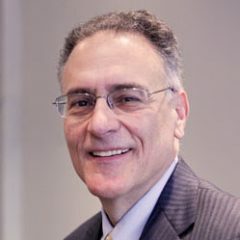 He is a founding faculty member of Penn State’s Academic Leadership Academy and System Leadership Academy sponsored by the American Council on Education and the National Association of System Heads. 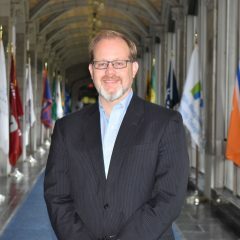 He has served on the boards of the Comparative and International Education Society (CIES); Council for International Higher Education (CIHE); the Gulf Comparative Education Society (GCES); SUNY Korea; and Taking Student Success to Scale (TS3), a consortium of 23 systems working to leverage evidenced based practices to improve student success. degree in Journalism, all from the University of Minnesota – Twin Cities. 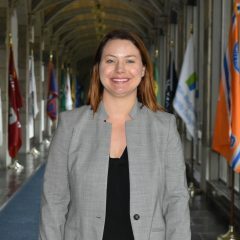 Leanne Wirkkula, Ph.D., was appointed Vice President for Planning, Policy and Compliance of the University at Albany, State University of New York, in September 2016. Dr. Scott Vinciguerra is responsible for the development and delivery of leadership development programming for the SAIL Institute. A former educator and administrator in public and higher education, Dr. Vinciguerra brings over 20 years of experience leading people and organizations to exceed their potential. His presentations at local, state, national, and international conferences are hallmarked by his ability to engage with others through an authentic and transparent disposition. He has twice presented research at the internationally prestigious Learning & The Brain Conference, sponsored by the Dana Alliance for Brain Initiatives, and the Harvard University Faculty Club. The author of three books on leadership, he is a consultant to a multitude of organizations and businesses, as well as Olympic athletes in areas of mental preparation and peak performance. Prior to her role as the Assistant Director of the SAIL Institute, Carolyn Mattiske served as the Research Foundation for SUNY Learning and Development Manager. 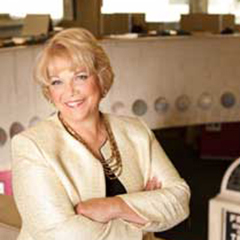 She was responsible for managing the training needs throughout the 17,000 employee enterprise. She collaborated with subject matter experts to assist with the development of training plans and determination of appropriate training delivery methods, tools and technology solutions. She managed from their inception, Learning Tuesdays, a monthly 90-minute live streaming webinar training series, as well as a mentoring program and leadership academy. Carolyn was also a stand-up trainer and curriculum developer for the University at Albany’s Professional Development Program (PDP) specializing in food stamp and welfare fraud detection policy. 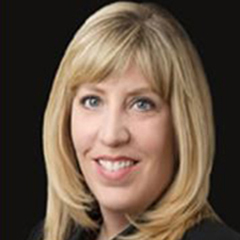 Carolyn earned two degrees from the University at Albany, a bachelor’s degree in business administration with a concentration in marketing and minor in communications as well as a Master’s of Arts in Curriculum Development and Instructional Technologies. She is DiSC Workplace certified, and leads workshops on both DiSC Workplace and DiSC Work of Leaders assessments. She currently serves as a board member and Vice President for Special Events for the Hudson-Mohawk Association of Talent Development. She is a busy working wife and mother of two wonderful children, Owen and Evelyn. In her free time she loves to ski, practice hot yoga and read. 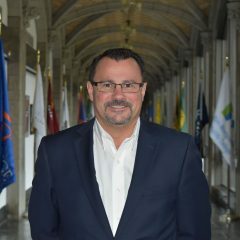 An educator-scientist-physician-executive with over 20 years of leadership experience in higher education, research, and academic healthcare, Dr. Ricardo Azziz currently serves as Chief Officer of Academic Health and Hospital Affairs, State University of New York (SUNY) System Administration, the largest university system in the nation. 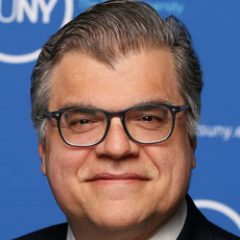 In this role he provides support, strategic oversight, guidance, and advocacy for the educational, research and clinical programs within the SUNY academic health and health professions portfolio, representing over 30% of SUNY’s total annual $13.3 billion budget. Dr. Azziz is a long-term champion for faculty and leadership development, and enhanced diversity and inclusion, in academics, including the development of emerging leaders in academic administration, and of young and under-represented scientists. 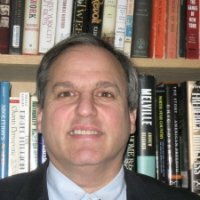 He is a recognized thought leader in higher education, having served on the Board of Trustees of the Southern Association of Colleges & Schools-Commission on Colleges, and writing regularly for a number of venues, including the Huffington Post (http://www.huffingtonpost.com/dr-ricardo-azziz/). area of state and local government. the University of La Verne (CA). office’s portfolio of programs and overall capacity since its inception in 2007. Dr. Virginia “Ginny” Horvath became the 13th President of the State University of New York at Fredonia on July 1, 2012. She was the Vice President for Academic Affairs at Fredonia for seven years, overseeing academic programs, Rockefeller Arts Center, Reed Library, information technology, graduate studies and research, Extended Learning, and a range of academic support services. President Horvath, who also holds rank as a Professor of English, has academic specialties in Medieval literature, British literature, children’s/young adult literature, English pedagogy, and poetry. Previously at Kent State University where she was a recipient of the Distinguished Teaching Award, President Horvath was Dean of Academic and Student Services for the Kent State University (Ohio) Regional Campuses, and Assistant to the President for Strategic Planning. 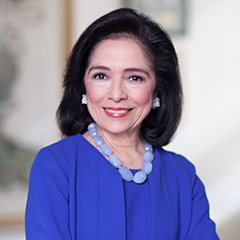 Dr. Joyce F. Brown is president of the Fashion Institute of Technology (FIT), a specialized college of art and design, business and technology of the State University of New York (SUNY). Appointed in 1998, she is the college’s sixth president. Dr. Brown, a highly regarded educator and academic administrator, has had over 35 years experience in public higher education. She held a number of senior administrative posts at the City University of New York (CUNY) before arriving at FIT, including acting president of Bernard Baruch College and vice chancellor of the university. 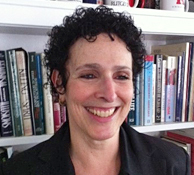 Prior to her appointment at FIT, she was professor of clinical psychology at the Graduate School and University Center of CUNY, where she is currently professor emerita. Dr. Brown also served as a New York City deputy mayor for public and community affairs during the David Dinkins administration. At FIT, Dr. Brown has led an ambitious, unprecedented multi-year, multi-million dollar initiative coordinating strategic and investment planning that has transformed the college. She has built faculty ranks, increased technology, improved student services, enhanced the campus with new and renovated facilities, and invigorated its culture with ground-breaking initiatives in diversity and sustainability. In widely expanding the curriculum, she has added innovative new programs, interdisciplinary minors and raised the profile of the liberal arts. FIT serves 10,000 full and part-time students with a faculty and staff of more than 1,700. Dr. Brown is FIT’s first woman and first African-American president. Dr. Giacomo (Jack) Oliva is vice president for Academic Affairs at the Fashion Institute of Technology and a member of the President’s Cabinet. Dr. Oliva provides leadership and oversight for academic planning, program development and assessment, educational policy, and academic standards, as well as faculty assessment and development, promotion, and tenure. He ensures that curriculum and faculty competencies align with the colleges strategic plan, and works with the academic deans to provide a vision for the programs offered through the schools of Art and Design, Business and Technology, Continuing and Professional Studies, Graduate Studies, and Liberal Arts. Dr. Oliva also oversees the Gladys Marcus Library, the Career and Internship Center, the Center for Excellence in Teaching, Grants, International Programs, the Presidential Scholars honors program, and Faculty Services. Prior to FIT, Dr. Oliva was dean and professor of music at the Hixson-Lied College of Fine and Performing Arts at the University of Nebraska-Lincoln. He has a distinguished background as an academic administrator and professor. His leadership enabled the seven-year old Hixson-Lied College to forge its identity and direction, increase enrollment, develop new programs, raise funds, and expand faculty efforts to seek support for research and creative activities. His efforts assisted the college in becoming a presence in arts education in higher education. Previous positions he held include serving for nine years as director of the School of Music at the University of Florida and head of the Department of Music at Mississippi State University for seven years. In 2007, he was named National Administrator of the Year by the National Association of Educational Office Professionals. Founder and Chief Strategist at Harrington Brands, Matt Harrington created the “Growing Millennial Leadership” program out of what he saw was a necessity to have a holistic and pragmatic conversation about the different generations in the workplace. 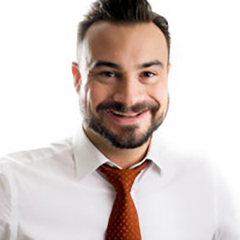 Having studying generations and interpersonal theories and skills for over a decade, Matt is seen as a subject matter expert on social media, social learning, and the Millennial generation. His book, Survival of the Hive: 7 Leadership Lessons from a Beehive looks at the macro- and micro-responsibilities of a queen bee and her relationship to a hive. Each chapter explores how the beehive functions through the characters of Zync, a queen-in-waiting, and her fellow bees. Using the bee colony as an allegory to illustrate leadership in an organized community, SOTH provides a working illustration of cultural complexity, leadership clarity, and the importance of trust as a foundation for excellence. William A. Herbert is a Distinguished Lecturer at Hunter College and the Executive Director of the National Center for the Study of Collective Bargaining in Higher Education and the Professions. His scholarship focuses on labor law, history, and policy including the impact of workplace technologies on privacy and associational rights. 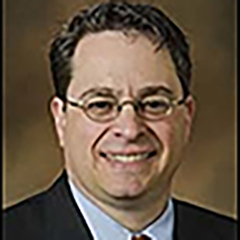 Mr. Herbert is co-editor of the treatise Lefkowitz on Public Sector Labor and Employment Law and has authored book chapters and articles concerning public sector labor history and other subjects. Prior to joining the Hunter College faculty, Mr. Herbert was Deputy Chair and Counsel to the New York State Public Employment Relations Board (PERB). Before his tenure at PERB, he practiced labor and employment law for over two decades. 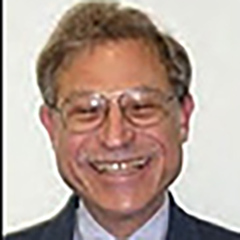 Mr. Herbert is a graduate of the University at Buffalo and the Benjamin N. Cardozo School of Law, Yeshiva University. 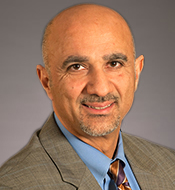 Fardin Sanai was appointed UAlbany’s Vice President for University Development and executive director of The University at Albany Foundation in Fall 2007, with responsibility for all fundraising, alumni affairs and foundation operations at the University. 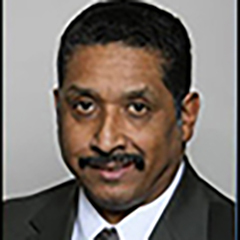 Most recently, Sanai served as senior vice president for development and foundation operations at Albany Medical Center, where he oversaw fundraising for both the college and hospital. Prior to that, Sanai served as vice president of institutional advancement and executive director of the Foundation at the State University of New York at Cobleskill. He began his fundraising career with a six-year tenure at Albany Law School and also spent two years as a fundraising consultant for Morin & Anderson, Inc. Under Sanai’s leadership, the UAlbany was a 2012 recipient of the Council for Advancement and Support of Education’s (CASE’s) Circle of Excellence Program Award for overall improvement. Sanai holds a bachelor’s degree from Marist College. He currently serves as the chair of SUNY’s Chief Advancement Officers and on the board of the Albany County Convention & Visitors Bureau. Jonathan Turk is a senior policy research analyst for ACE’s Center for Policy Research and Strategy. In this role, Turk is responsible for managing research projects, analyzing quantitative and qualitative data, authoring research papers and briefs, participating on technical review panels, and providing research support for ACE’s Division of Government and Public Affairs. 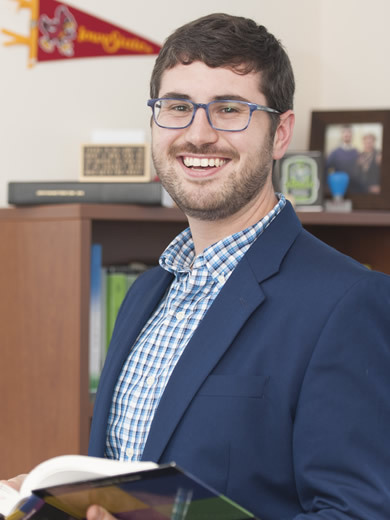 Turk’s own research investigates higher education issues from sociological, political, and economic perspectives; specifically, he examines college student outcomes, the intersections of public policy and student success and completion, and institutional behavior.